NEED ASSISTANCE WITH YOUR CASE? When you and your spouse married, both of you assumed legal obligations to each other. The same is true when you divorce; there are legal obligations for both of you that must be considered and followed. Spousal Support is the current term for what was once called “alimony.” While both spousal support and child support are determined by the court system and can both be awarded simultaneously, they are meant to address different needs. When you divorce in Oregon, current divorce law requires an accounting of all of your property as well as all of your debts in order to divide them between you and your spouse, even those that are owned or owed separately from each other. Divorce is an emotional and stressful process, no matter how amicable both parties are. Getting divorced is hard enough, but once your divorce is final – the court orders that detail the terms of your divorce are extremely difficult – if not impossible – to change. Your divorce decree is binding, and it will affect every area of your life, from your relationship to your children to the property, assets, and even the retirement income both you and your spouse have. Unless your marriage has been one of short duration and there are no assets, debts, or children involved, obtaining the advice of a well-qualified divorce lawyer is always the best idea. It’s vital that you understand your rights, the options that are available to you, and the ramifications of any decisions you make during this difficult process. I can help you navigate through your divorce in a professional manner that helps you obtain a fair result. When you and your spouse married, both of you assumed legal obligations to each other. The same is true when you divorce; there are legal obligations for both of you that must be considered and followed. The most important – and often most difficult – consideration that must be taken into account are your children. You and your spouse have legal obligations to your children to provide and maintain their health, education, and well being. In Oregon, however, joint custody is only awarded if both parents are in total agreement, which is often not the case. This means that one parent is often granted sole custody of a child or children. The parent with “sole custody” has more legal authority to make decisions that affect the life of any children in the marriage, while the “non-custodial” parent has few or no legal rights to make decisions regarding a child’s upbringing. Practice: Divorce and family law, business advice. Joe’s practice is focused on divorce and family law with a strong business background. 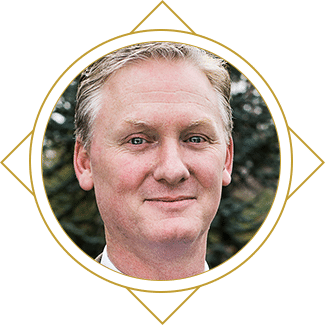 Joe’s background allows him to assist clients that need to value and divide family businesses, medical practices, and other business interests. Joe also provides advice to businesses and individuals on a variety of issues including real estate transactions, the purchase and sale of businesses and professional practices, and the purchase, sale and leasing of real estate. Joe graduated from Northwestern University in Evanston, Illinois. He received his law degree from the University of Oregon School of Law and has practiced law since 1998. Joe began his practice and developed significant trial experience as a Deputy District Attorney in Portland, Oregon. During his time as a Multnomah County Deputy District Attorney Joe dealt with a wide variety of matters including juvenile custody issues. Joe has also served as senior in-house counsel for a publicly traded company where his practice focused on business advice and managing the company’s litigation matters. Joe and his wife stay busy with their two young children. Joe is active in the community in a variety of ways including serving, or having served, on the Medford-Alba Sister City Board, the Board of Education for Rogue Community College, the Center for Non-Profit Legal Services Board, and on the Southern Oregon University Youth Advisory Board. James lays out exactly what you need to know about your case. He gives you potential outcomes based on experience and the facts.